News from LMCU: Drive a little, save a lot! Your next great used car deal is closer than you think. Lake Michigan Auto Center has special shipments of fresh vehicles arriving daily. These are clean, low mileage, well maintained autos that have all been put through a rigorous 30-inspection process. From the hot and stylish, to the rugged and hard-working, you’ll find just the right vehicle for your needs. And if you don’t see it, we can get it! 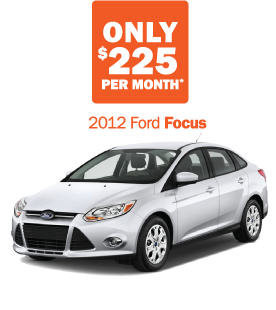 Our lowest financing rates ever! Need financing? Get LMCU financing as low as 2.75% APR* for 63 months with approved credit! And get great rates on an insurance policy too, right here at Lake Michigan Auto Center. For details, visit LMCU.org/Autocenter, call (616) 643-0605, or visit the Auto Center, located south on 32nd Ave. (Exit 62) @ I-196 in Hudsonville. *APR= Annual percentage rate. With approved credit through LMCU. Includes sales tax, license transfer and title (new plate, if needed would be extra). Subject to prior sale. May not be combined with any other offer. Offer good through 09/20/13. Monthly payment based on sales price of $15,900, a cash down payment or trade in or $3,692 and financing for 63 months with an APR of 2.75%. Terms may vary based on credit.